Fremont Indian State Park and Museum is a state park of Utah, US, which interprets archaeological remains of the Fremont culture. The park is located in Sevier County, Utah in the Clear Creek Canyon.The park directly adjoins Interstate 70 as it travels up the Clear Creek Canyon, and thus is highly accessible by auto. The nearest town with full services (motels, etc.) is Richfield. There are campgrounds and RV parks in the area as well. The site was discovered during construction of Interstate 70, and thousands of artifacts have been excavated from the ancient village and put on permanent display at the museum there.The museum offers hiking trails and picnic areas.The Fremont Indians were agriculturalists who lived from about 400 to 1300 in north and central Utah and adjacent parts of Colorado, Idaho and Nevada. Here's the our members favorite photos of "State Parks in Utah". 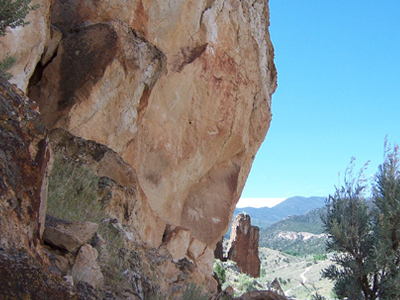 Upload your photo of Fremont Indian State Park And Museum!